There is an endless amount of wedding advice out there. 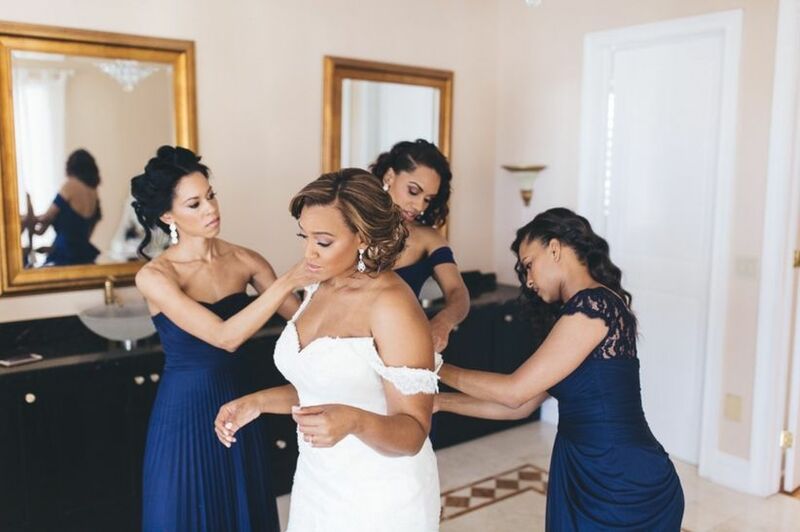 And the worry can be nonstop when it’s time to think of all the finer details: there’s the venue, guest list, bridesmaids, dress, RSVPs and invites, trends… and the rest. So much so, that it’d be easy to drown in confetti before you’ve even thought about walking down the aisle. The solution? Bring in the pros; the experts that eat wedding cake for breakfast (maybe). Kate O’Dowd and Jen Power are the discerning eyes and hard-working hands behind event consultancy, love &. They produce weddings, parties and brand events for clients throughout the country, creating beautiful, bespoke events for their clients, whatever their tastes. So, we thought there were no two people better to ask on the subject of wedding etiquette because they know weddings. We asked them six questions that endlessly crop up on nuptial to-do lists. Read on and remember these as you get the ball rolling on your dream day celebration. What is the main thing every couple underestimates when planning their wedding day? Just how much planning goes into creating a wedding that feels effortless. You’ve no idea how many people think a laidback garden party will be a much easier way to entertain 200 people, than doing it in a hotel. It won’t; it’ll involve a heckload more planning. Though, these are our favourite kinds of weddings to do, because you can create a unique personality for the event… every small detail is bespoke. And while it’s important that couples understand the difference between a wedding that’s easy for guests to enjoy and one that’s easy to make happen, the whole point of us, as planners is to make sure that every wedding feels easy for the couple, regardless of how many times we’ve made the impossible possible. You might say, we’re unsung wedding heroes! (laugh, sob, laugh). What advice would you give to the couple seriously stressed about the size of the guest list? Our advice to any couple is the same; don’t let other people dictate your guest list and only do what feels right, for you, as a couple. Virtually every client we encounter is, at some point, overwhelmed by the various opinions foisted upon them; “You have to invite children”, “You can’t leave them out”, “What do you mean you’re not inviting your great aunt that you barely know?” People love getting involved and don’t realise they have overstepped their boundaries, so it’s best to stand firm and assertive and only do what suits you as a couple. Remember that this is your (hopefully) only wedding, you are forking out a small fortune for it… and all anyone who’s important to you will remember is how happy you were that day, not that your cousin didn’t get to bring her boyfriend of three weeks. Invites and RSVPs – when should they be sent out and when should guests send theirs back? Most people start listing names straight after getting engaged (informally, for fun) but this is when you should really firm it up. These are optional, as you’ll surely spread the word through word of mouth, but useful if you live away far from your family and friends or are inviting large numbers.? Your invitations will set the tone for the wedding day and give guests a glimpse into what you have planned. We suggest spending some time with your designer at this phase, working out everything you need. Here’s what you’ll be choosing from: Main Invitation, Main Invitation Envelope, RSVPs, Information Cards, Dietary Request Cards, Personalised Maps, Bespoke Crests & Logos, Envelope Liners, Hand Calligraphed Addressed Envelopes, Table numbers, Place names… and anything else you can put on paper. The moment you’ve been waiting for… the final head count! Once you have nixed those decliners who you’ll be ignoring for eternity (joking, not joking), you can now begin table plans and finalise menus with your venue. Although it might seem presumptuous to have an Excel sheet of who gifted what, trust us, it will be worth it when you sit to write out a gazillion cards. There’s nothing worse than forgetting who gave you a gift or sending a generic “thank you”. Make it personal; after all, people spend a lot of money attending weddings, so they will be touched that you’ve noticed and spent time to show your appreciation. What, in your opinion, should the couple consider as priorities? Every couple’s priorities are completely different, depending on their budget and what they consider to be the best way to celebrate their wedding. But, pivotal to each event is the venue – it shapes every other aspect of the day. Think about things like how much you want your guests to have to spend to attend (anyone on a budget will delight at an invite to a city wedding)… what sort of dress you see yourself in (if it’s a voluminous ballgown, a city restaurant is probably not going to work)… how much you want to take responsibility for (do you really want 150 guests trampling on your mother-in-law’s roses?). Thinking these priorities through at the start will make for a smooth process and ensure you end up with exactly the wedding you want. How important are trends when it comes to weddings? Regardless of how you think you feel about them, wedding trends are unavoidable. Whether it’s something as small as an awareness that in no way are stretchy white seat covers deemed attractive in 2017… to realising that burlap, bunting and jam jars have finally had their day… to predicting the exact Pantone shades, flower varieties and dining chair styles that will rule Pinterest in June 2019, every wedding follows trends. What we think is important is that a wedding to be at the pinnacle of what’s beautiful for its time, but that the details be dictated by the personality of the couple. That way it always feels original and never dates. What’s the one piece of advice you give to your wedding couples before you start organising their day? Enjoy the process! It might seem daunting, but believe it or not, when the wedding is over, you’ll miss the excitement and anticipation… that feeling that it’s all to come. Don’t overstretch yourself and in doing so, miss out on being the bride or groom. Also, drink a lot of champagne.